The 'Batman Ninja' anime feature will arrive on Digital on April 24, and will be available on Blu-ray and DVD on May 8. Its directed by Jumpei Mizusaki from a script by Kazuki Nakashima. Leo Chu and Eric Garcia wrote the screenplay for English-language distribution. The voice cast features Roger Craig Smith (Batman), Tony Hale (Joker), Grey Griffin (Catwoman), Tara Strong (Harley Quinn, Poison Ivy), Fred Tatasciore (Gorilla Grodd, Deathstroke, ), Yuri Lowenthal (Robin), Adam Croasdell (Nightwing and Alfred), Will Friedle (Red Robin, Red Hood), Tom Kenny (Penguin) and Eric Bauza (Two-Face). 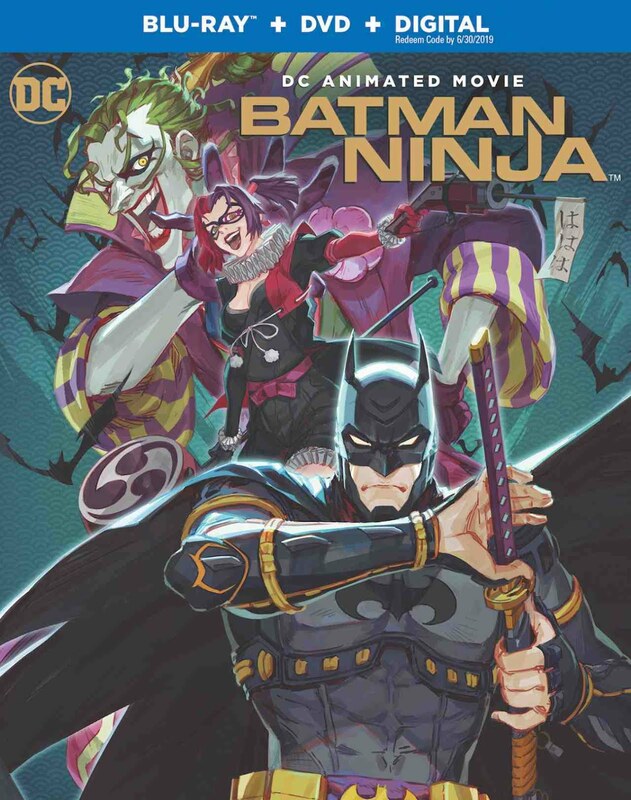 Batman Ninja takes a journey across the ages as Gorilla Grodd's time displacement machine transports many of Batman's worst enemies to feudal Japan - along with the Dark Knight and a few of his allies. The villains take over the forms of the feudal lords that rule the divided land, with the Joker taking the lead among the warring factions. As his traditional high-tech weaponry is exhausted almost immediately, Batman must rely on his intellect and his allies - including Catwoman and the extended Bat-family - to restore order to the land, and return to present-day Gotham City.